The Royal Dornoch features five bedrooms, a floor space of 270m², and a huge free-standing garage of 66m². It features, all on the one level, two reception areas: a living room to the left of the hall which looks to the front of the property and a large open plan kitchen/dining room and family room which lies to the right of the property, and extends more than 10 meters in length from the front of the house to the patio windows at the rear. The master bedroom benefits from both an en-suite bathroom and dressing room. 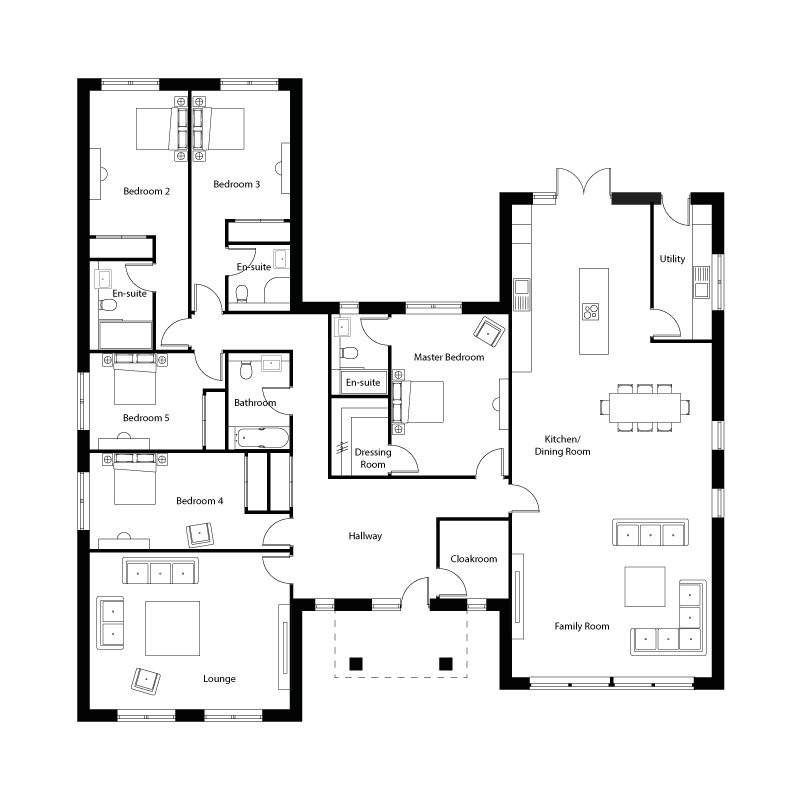 Two further bedrooms have en-suite bathrooms, plus a family bathroom services the two remaining bedrooms. A cloakroom is usefully located off the front hallway and a utility room opens off the kitchen, offering additional access to the garden.